If you have always wanted to try scrapbooking, and are not sure how to go about it, here is all you need to know about getting started with scrapbooking. I am sure you are going to enjoy this craft just as much as I do. Scrapbooking is a lot of fun, as you are sure to discover on getting started with scrapbooking. Scrapbooking allows you to be creative and can result in a beautiful storybook of lifelong memories that you, your family and future generations can enjoy. Scrapbooking is merely a way to document your life using photos and other memorabilia in a creative way. In this way, precious memories can be preserved forever. Although people feel that they have recently discovered scrapbooking, because the popularity of it surged, scrapbooking has actually been around a long time. The principle of scrapbooking has existed for a very long time. Centuries ago the first types of scrapbooking albums were made. People kept diaries, journals and friendship albums. Memorabilia such as newspapers and letters, pieces of hair, feathers and pressed flowers were often used as what we now call embellishments to accompany names, stories and later also pictures. The term ‘scrapbook’ stems from the leftover pieces, or scraps, of paper that people started to use as a decoration in their albums. 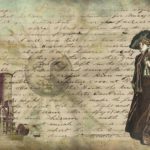 In the 19th center when the camera was invented, it gave scrapbooking a whole new dimension, as people could now ad pictures to their articles and stories. Modern-day scrapbooking as we know it today developed in the 1980’s. Marielen Christensen was believed to start off the craze when she designed and decorated pages dedicated to her family history. By 1980 she had made over 50 scrapbooking albums and showed them at the World Conference of Records in Utah. The public was so enthusiastic about the memory books that she had created that Marielen Christensen and her husband published a book on how to scrapbook and opened a scrapbook store called Keeping Memories Alive, which still remains open today! Since then thousands of stores have opened their doors to sell scrapbook supplies and ‘scrapping’ has become a real industry. Scrapbooking is a wonderful way to create memories and make all those special moments last a lifetime or more. Let each page of scrapbooking tell its story as the reader pages through the album. To start off with, you will need to delegate a place for your new hobby, as you will acquire lots of bits and bobs once you get into it and will need to keep organized and on top of things. Scrapbooking is more fun and less of a chore when everything is in one place and in close, accessible proximity to your working area. Designate a room, or a portion of a room, in your home for this activity. You should be able to retrieve your supplies, photos, etc. in seconds, without having to walk into another room or rummage through a closet. Your supplies will need to be stored in a way that they can be found instantly when you need them. You will also need to find a way to keep an inventory of your supplies so that. you don’t duplicate them. This is easy to do, as the stores have so many tempting offerings and you will be tempted to buy everything you see at first. You will also need to be able to set aside some time to enjoy your new hobby. It is quite time-consuming as it becomes addictive, and as you know photo’s build up so quickly that it soon becomes an impossible quest. Here are some ideas for great storage solutions for your scrapbooking corner. Some even include workspace for your hobby. Click on the pictures if you would like to find out more. It is best to get a storage system going that has lots of compartments so that you can separate your supplies and find them easily. I use a lot of see-through storage, then you can see exactly what is in each drawer or container. Fishing tackle boxes with compartments and levels that expand and collapse are also great for storing these types of supplies and tools. You can also buy these in the plastic see-through variety. When taking your next set of photographs, have a story in your mind of what you want to convey on your scrapbooking page and what story you would like to bring across. For instance, if you are visiting the circus, try taking one on arrival, then one of the first act, then one of a clown, and then an interval and so on so that you can link the photo’s on your page to tell a story. In this way, you will also have an obvious color scheme that you can follow when you purchase your card stock. It may be a good idea to go on a mini photographers course, and in this way you can learn how to fully utilize your camera, take advantage of all its features and get stunning quality images at the same time. This is especially worthwhile if you own a fancy Canon or Nikon camera. A good quality camera like a Canon, Nikon or even a good iPhone camera are musts if you want to get quality photo’s for your pages. It makes such a difference when the photos you are working with are nothing short of stunning. Never leave home without a small notebook. So often while you are out you will come up with a thought or a cute caption for your scrapbook. If you don’t write it down straight away, it will go out of your head. A notepad near your bed is also a great idea, as often you have your best ideas in the middle of the night. Once you have developed or printed your photographs out, keep them stored in Ziplock bags separated by years or events. Store them in a box until you are ready to use them. Make sure to keep the box in a dry and cool place to protect the photographs especially if they are to be stored for a long period of time. If you are one of those people like I was when I started with boxes of random photos from many years back, now is the time to start getting them organized. Schedule a date and time in your diary to do this and stick with your appointment. Get your family involved if you can. Start by making piles of events, years or even individual people. If you are not sure of the exact year, put them in decades. Although this part may take a while, it makes scrapbooking those memories much easier. Once your photographs are sorted store them away as above. I often sit with random photographs that I am not quite sure what to do with. In this case, I just do a collage style page with them, and the effect is really interesting when paging through the album. Don’t stress yourself out by thinking that you need to put all of your photo’s into scrapbooking layouts. You can always put the majority into acid-free photo albums and just choose to scrapbook the special times. Start by choosing a small set of photographs that you want to scrapbook and once done with that, decide if you want to do more and with what photos. I found that once I started, I couldn’t stop with the result that most of my old pictures were taken out of their original albums and scrapbooked. When you visit places like museums, theaters and even go on vacation, it is always a good idea to keep some memorabilia that you can use to scrapbook with the photographs. It could be in the form of a brochure, concert ticket, postcard or even flower that can be pressed and placed in a see-through cover. This just makes the page so much more personal and will bring back those great memories as you page through. 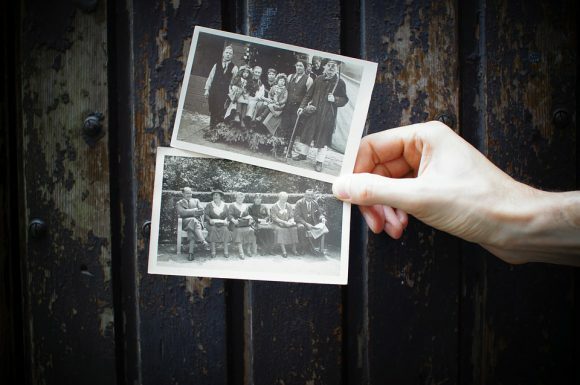 If you are not planning to scrap the photos straight away make sure to store the memorabilia with the photographs, or you may forget about using it when it comes to scrapping the page. Now that you are ready to fire away getting started with scrapbooking, you will need to set some goals for yourself. Say to yourself for instance that you want to get two layouts done a week. This is especially necessary if you’re creating a scrapbook for an upcoming occasion or as a gift for somebody special. Believe me, if you don’t make time for your scrapbooking, it just doesn’t happen. This is the part that you can go a bit overboard with, as there is so much variety, and it is so easy to buy more than you need. The best way to start out is to get a couple of linking photo’s together, maybe of a particular occasion, and try to pick out a color theme by taking some of the colors from the photographs. If purchasing supplies, take your photo’s with you so that you can match up the colors in the photos to the colors in the cardstock and paper. Think about what type of journaling you would like to use and what you would like to say. Photo’s and memorabilia are far more complete with words. Sometimes you are lucky enough to find just the right wording in the shops, but if not fear not as you can either handwrite your journaling or print it out on your computer. Try to buy just for the page or pages you are planning to do, or you will end up with lots of leftovers that just never seem to get used. The best you can do for yourself if you are getting started with scrapbooking is to get yourself off to a few lessons first. This gives you some ideas to start working on and developing. You also get to see what type of scrapbooking tools are out there and you can try their tools out to see if they are something that you will use in the long run, before buying your own. Never jump in and buy everything you think you need, as most of the time these implements will sit in your kit, and almost never get used. Here is a list of things that I find very useful in my scrapbooking kit and what you will most likely need to get started in scrapbooking. These are all tools that I use just about everytime I scrapbook. Getting started with scrapbooking may have you wanting to go out and buy the most expensive and best tools for the job, but in actual fact, you need so little to get started. Start off small and buy as you need, and in this way you won’t waste money on tools, you will never use. Scissors are a must. You need a big pair for general clipping and a small sharp-nosed pair for cutting out intricate shapes. I also have a set of these decorative scissors like you see on the right. They are not essential at first, but I do find them very nice to have if you want to cut fancy borders for your photo frames or make nice edgings. I bought a cheap set the first time around, but the blades didn’t last long. The set on the right ended up being the better buy. If you are interested in any of the products pictured, simply click on the picture to find out more about them. This is a very useful tool for cutting out windows neatly and even for dabbing glue dots in a non-messy way. This was the first tool that I invested in for my scrapbooking kit and one that I still use in some way on every layout that I do. A steel ruler is great to use with a craft knife. It is a lot stronger than a plastic ruler and will not get damaged when you cut along lines and press against it with a craft knife. You can also use it as per a normal ruler to measure with. I use my steel ruler and my craft knife a lot to cut out mats and frames for my photos. A mat is used to protect your work surface. Make sure you get a nice big one to work with. It is better to get one that is marked with lines and squares for accurate measurements. It is also great if you can get a self-healing one, as it will last you longer. You need acid-free glue for scrapbooking. I usually use acid-free wood glue and glue stick, wood glue and photo squares to stick all my photos on. A good buy is foam squares, as they elevate the elements on your layout and gives you a three-dimensional look. This is the most expensive piece of equipment on my list, but this is one of the most used items in my scrapbooking kit. This is excellent for quickly trimming photos, matting them and generally cutting all the papers you need to, quickly and neatly. You’ll save lots of time with this handy tool. There you have it, a list of my most used scrapbooking tools. With these tools. you will easily get the feel for scrapbooking in an inexpensive manner. The great thing about all these items is that you can also use them for a multitude of other tasks around the house.All you need now is some good imaginative ideas. Now that you have your new scrapbooking tools, all you need now is some good and imaginative ideas for your layouts. Embellishment is the term used to describe the elements that you use to decorate your scrapbooking pages. Your embellishments should be used to complement your layout, and not to take over. The photographs should be the focal point on the layout, and the embellishments should be used to complement the photographs. If you are an embellishment hoarder, you will need to store them. Empty film canisters work really well or you could try a tray that one uses for knives and forks to store the tools and embellishments that you use often in. Many plastic and sewing shops sell containers with separate storage spaces that you can use successfully to separate small embellishments. Stickers can be stored in plastic sleeves in files, as well as leftover papers that have been cut and could be used again on another layout. Stencils can also be stored in files in plastic sleeves to keep them organized. Only acid-free paper should be used at all times in scrapbooking. The reason for this is that normal paper could cause your photographs to yellow over time. With acid-free paper, your photos should be preserved for generations to come. Be very careful not to store acid-free paper with other paper. If you have a large stock of paper a good idea is to store it en easily accessible hanging files. Otherwise, try file folder pokes or sheet protectors that fit into a 3 ring binder and store different colors in different pockets. 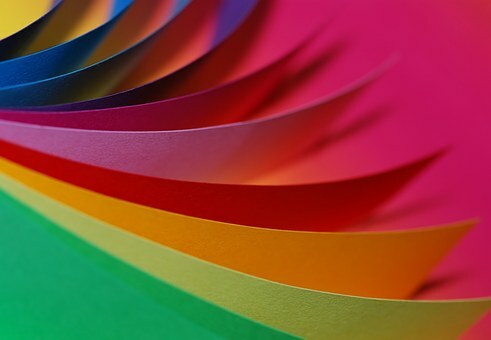 If you are getting started with scrapbooking and wondering what type of paper you need to use for your project, I have compiled a list of different types of paper for crafts that may come in as a handy reference for you. It is so easy to take an everyday material like paper for granted, yet paper is so versatile that it pays off to know your basics. Knowing the types of papers available for crafts will help you to make better decisions for your next project. There are so many different types of papers available you will be blown away. There are so many different types of paper for crafts available that you will be blown away. Paper is so amazingly versatile, as you can tear, cut, crease, crumple, fold or glue it. There are tempting choices of paper available in most craft shops, and if you know the different types of papers for crafts, you can dictate the end results on your creative piece. Before we start, we need to take note of the weight of the paper. Paper weight is measured in grams per square meter (gsm). A sheet of typing paper will be around 80 gsm. Slightly stronger papers will be around 150 to 190 gsm and this weight will be suitable for making small boxes. Any paperweight above 250 gsm is officially classed as cardboard. 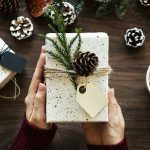 Below I have given you all the most common different types of paper for crafts, as well as some examples that you can buy online. If you are interested in finding out more about the different types of papers for crafts listed below, you simply click on either the link or the picture. Acid-free paper is strong and long lasting as all the acids are removed during processing. It is the ideal paper to use for scrapbooking and the storage of old antique books and documents. 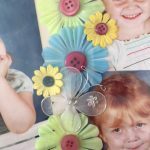 The reason this type of paper is great for scrapbooking is that it won’t leak any chemicals onto your photos over time, which can destroy them. This is the most popular choice for people getting started with scrapbooking. Great for use in the art class or for independent drawing. Created by experts for home or classroom use. Economic value is great for parents and teachers. Brown paper is a traditional wrapping material and is both cheap and strong. You could also use it for stamping and stenciling. It is also great for covering books as it is durable. This type of paper is mainly used for gift wrapping or the packing of breakables. It can also be used for crafts such as papier mache. Tissue paper is lightweight and fragile and can also be used to make embellishments for your pages, or you could crumple it and use it to mat a photograph. Great for making soft flowers to decorate tables too. This is premium commercial quality tissue paper. 1/2 sheets each is 15-inch x 20 inches. Great for all-occasion gift packaging! Perfect size for making 10-13″ MEDIUM Pom Pom Flowers! Huge variety of latest trendy colors to choose from – check them all out by clicking the link above! This type of paper is widely available and cheap. This type of paper has a slightly grainy texture and is available in a wide variety of colors for all your scrapbooking and crafting needs. Our Pale Pink Stripe Envelope note set is letterpress printed on antique machinery. It is a bright white card with a gold border, paired with a gray and white striped envelope. Flat card. 6 cards 6 envelopes. This type of paper is wrinkled and delicate and is also great for gift wrapping. It usually comes in a variety of strong and bright colors and can also be stretched slightly. You can also apply droplets of water to this paper to achieve a lovely watermark design. This paper type is also great for making Christmas decorations. Crepe paper can be used for weddings or party venue decoration. Comes in all the colors of the rainbow. This package included 10 pieces of Crepe Paper for $8.96 at the time of writing this post. This is a medium weight paper that is similar to the fabric in the way that it hangs and drapes. It is too springy to fold but can be torn to create rough feathery edges. Another form of Japanese paper is rice paper. This type of paper is usually coated on one or both sides with a gloss or matt finish. This type of paper is great for tearing as it reveals an interesting white layer underneath. The coated paper does not fold well, as the coating cracks and looks untidy. Coated paper is most commonly used for printing projects. Xerox Digital Colour Elite Gloss Paper. Can be brought in other colors and different types of coats. Tracing paper can be made in different weights and is transparent with a waxy texture. Besides using it to transfer motifs and trace drawings, it could also be used to form windows or frames on your scrapbooking layouts. You can also use it to trace out your sewing patterns. Tracing paper is always useful and I keep a roll of it handy at all times. This type of paper is high quality and normally only available in white and other neutral colors. It is medium weight and has an old-fashioned look and feel to it. It is great for fancy notebooks and diaries or creating layouts with old photographs. It is also commonly used for baking and to prepare food. Used as a liner for baking. Parchment paper is an easy way to bake, cook and prepare food with almost no cleanup. The one above is a non-stick parchment paper. This is the most used, everyday medium weight paper and usually available in a limited choice of pale colors. Bond paper can be used for most papermaking projects from origami to papier mache. It is also used in offices for business documents. The quality bond paper to the right is the no.1 sulfite paper for everyday documents. This bond paper is compatible with laser and inkjet printers, as well as copiers. It is acid-free and resists yellowing and disintegration. Has a wove finish that is watermarked signifying fine quality and distinction. These types of paper for crafts are medium weight and usually only sold in craft stores. You can also purchase watercolor paper from Amazon below. Artists use it to do their watercolor paintings, and it has a hand-made quality and slightly rough texture. The Strathmore 400 series watercolor paper comes in 12 sheets – 140 lb. Intermediate grade watercolor paper is popular with watercolorists of all levels. These types of paper for crafts are manufactured in the United States. This versatile felt finished paper is ideal for mastering watercolor techniques or finished pieces. These are normally highly textured medium to heavy weighted papers with anything from petals and leaves to glitter and grass embedded into them. Handmade paper isn’t cheap but is worth the investment to add an exotic touch to your projects. Here are two examples below. Handmade Decorative Paper which is Printable. This type of paper for crafts is ivory with silk and gold threads which are very pretty. They come in a set of 50, 8.5″ x 11″ each sheet. The paper on the left is another unusual and different type of paper for crafts. It is handmade in Japan with 100% Philippine gampi neutral pH 4 natural deckles. This paper has a delicate and subtle plaid pattern in a natural color. It is often used in restoration and bookbinding because of its strength Kitakata is also suitable for printmaking chine colle and block printing. There are many other different types of paper for crafts available on the market today, but I have given you a list of the most popular types of paper for crafts that crafters all over the world love to use. Once you have all your papers and embellishments planned for your layout, it’s like doing the two-step. Assemble your pages with your photos, documentation and critical diecuts. Decorate with stickers, stamps, etc. The two-step process will help you get the critical part (step one) done faster, and then you can continue with the second step (less important) later on. It is up to you how creative you want to be, depending on your scrapbooking goals. The more creative the layout, the longer it normally takes. if your goal is to get a scrapbook done as quickly as possible, keep it simple. Getting photos and documentation in the album is after all the main goal. Save your really creative moments for extra special scrapbooking projects. And remember, too much stuff on any one page, takes away from the photos. As with any art, scrapbooking has no rules, as each person has different taste. Use your imagination. If you feel uninspired, try buying a cit and working from there. I love kits as they save time when shopping for everything you need to make a particular layout comes with the kit. Kits are ideal to start with when you are getting started with scrapbooking. Here are some great examples of kits for you to look at. Getting started with scrapbooking is a great way to spend some time with your family. If you are getting started with scrapbooking it is fun to get the whole family involved and around the table at the same time. It’s a great time to share ideas and dreams with each other. Can’t seem to get the male family members involved? Perhaps they can sit at the table while the females are scrapbooking, and they could do something they enjoy at the same time. At least everyone will be together and be having fun. Many people like to get their kids involved with the actual project, such as arranging stickers, applying diecuts, etc. If you would rather your kids were not involved with the actual project, give them a project of their own. You can always find a few photos that you’re not going to use in your scrapbook, some inexpensive paper, kid scissors, etc. Then have each child make their very own scrapbook. Either way, the kids will be occupied, which will give you time to enjoy your hobby. Scrapbooking is a great excuse to get together with your friends. Why not try getting started with scrapbooking with a scrapbooking club and meet at each other’s homes one day a month or so. This is a great idea when it comes to getting started with scrapbooking, because you can make a party of it, and at the same time share some great ideas and learn new techniques from each other. If you’re going to be scrapbooking at a friend’s home, take a few minutes to plan what you want to work on. By doing this, you will only have to carry those supplies you’re going to use. In other words, if you’re going to be working on a wedding theme, there’s no reason to be carrying all of your holiday items with you. Getting started with scrapbooking is not as daunting as you thought it was. With a little planning and organization, you will be able to make some sense of your photo memories, and delight in your new found hobby. Plan, organize and schedule some time to enjoy your creations with family and friends. Scrapbooking is all about fun, laughter, memories, and magic moments!